The Zodiac Cadet 350ALU is the biggest offering in the ultra affordable Cadet lineup and is offered with aluminum floor boards and inflatable keel. Manufactured in China to be competitive with offerings from no name companies that cloud the internet Zodiac offers a better boat at a lesser boat price. 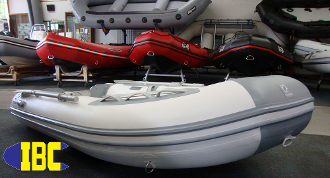 The Zodiac Cadet 350 ALU is the definition of value when it comes to low cost inflatable tenders or a first boat for that new boating enthusiast.